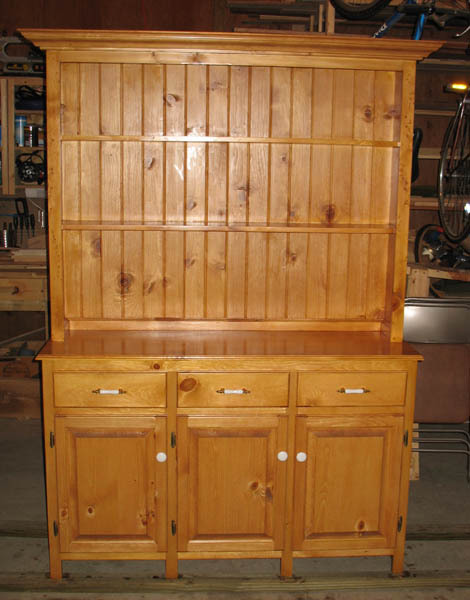 SEE the exciting restoration of a 1947 Delta Unisaw!!! 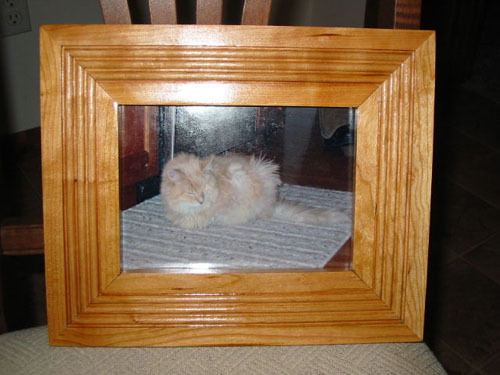 In order to keep law school from driving me stark raving mad, I decided around Christmas 2002 that it was high time to get a hobby. 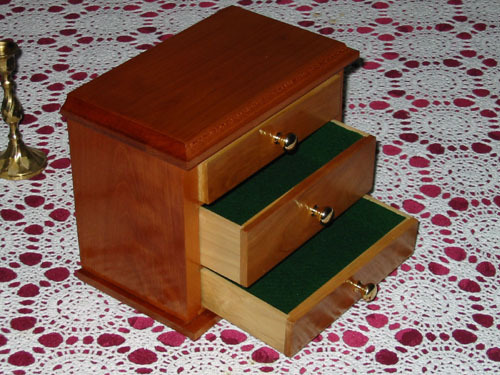 Because I come from a long line of carpenters and woodworkers and was virtually raised on The New Yankee Workshop and This Old House re-runs, I naturally gravitated toward making sawdust. 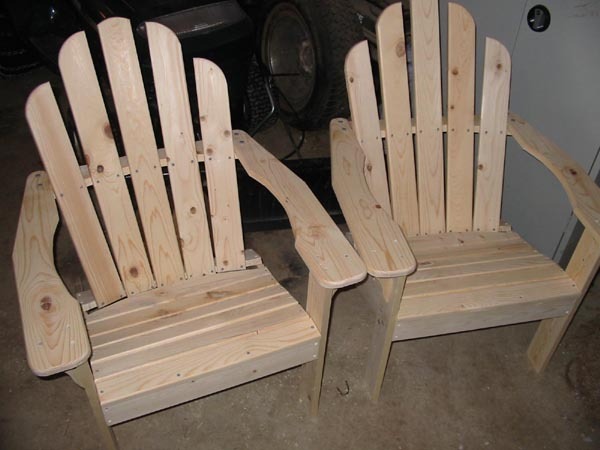 Unlike some of my previous hobbies, this one is extremely practical- after all, it is far cheaper to make your own furniture than to buy it. 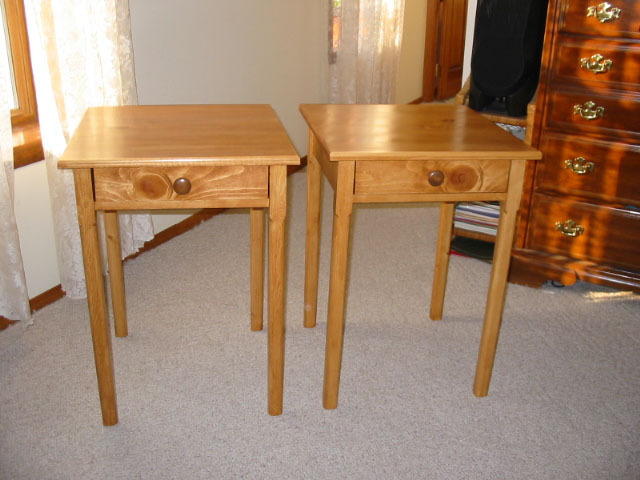 While I am no Gustav Stickley, I have made a few pieces of respectable-looking furniture, and I manage to learn quite a bit with each new project. 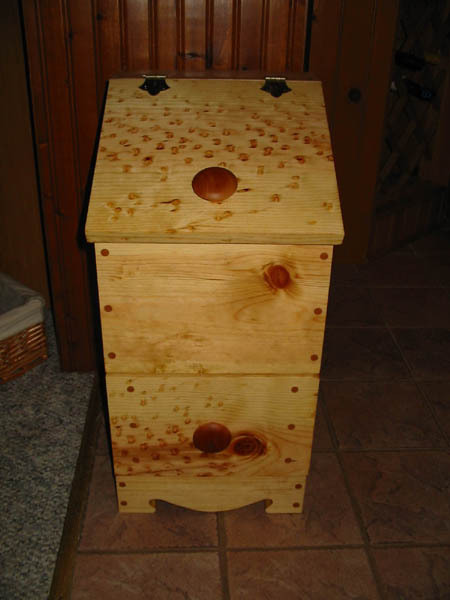 And while I readily admit that I've still got a lot to learn, I haven't met a woodworker yet who felt that he didn't, so at least I am in good company there. 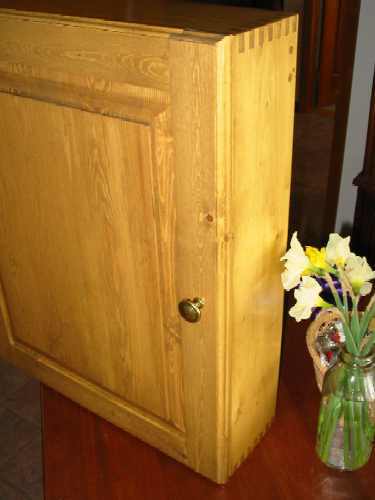 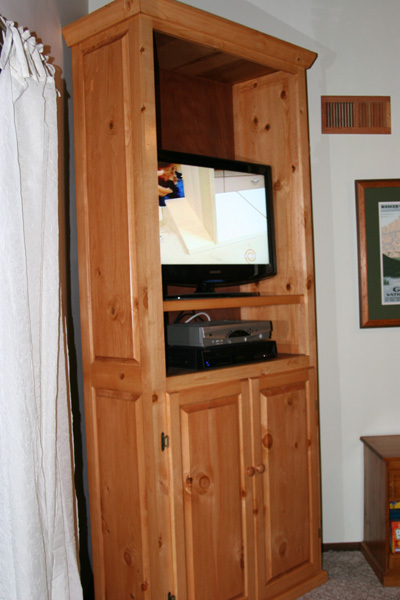 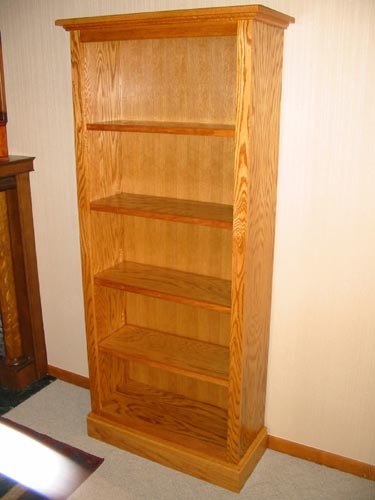 Below is a more-or-less chronological photo gallery of some of my carpentry/woodworking projects. 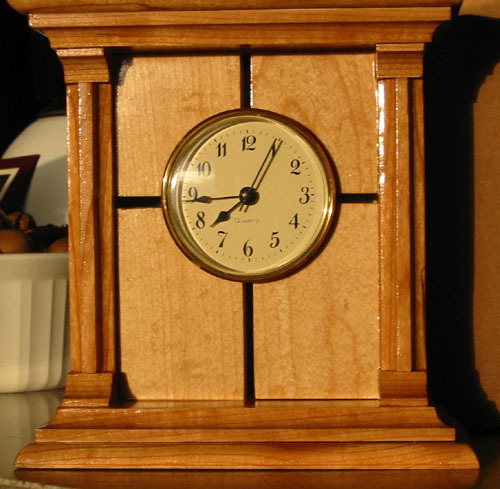 You may note that the overall project quality tends to increase as you go down the list. 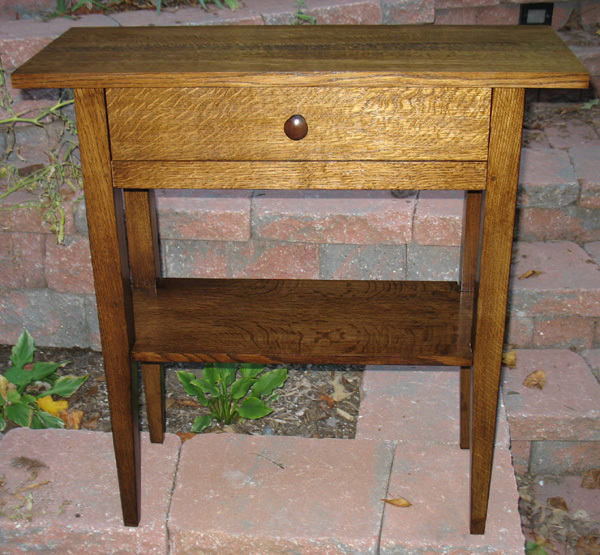 My best-looking project yet: matching nightstands. 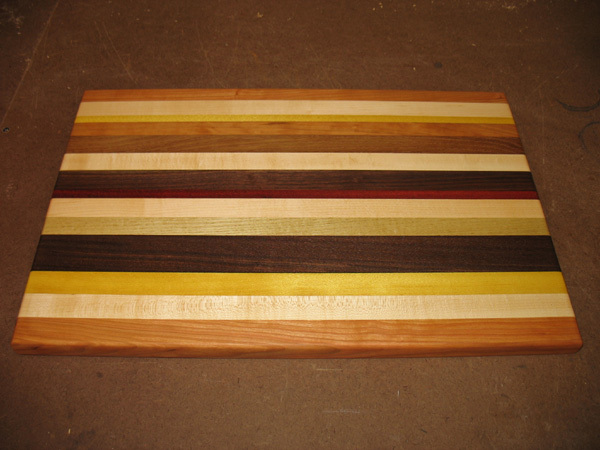 A cutting board, made of several different species of hardwood. 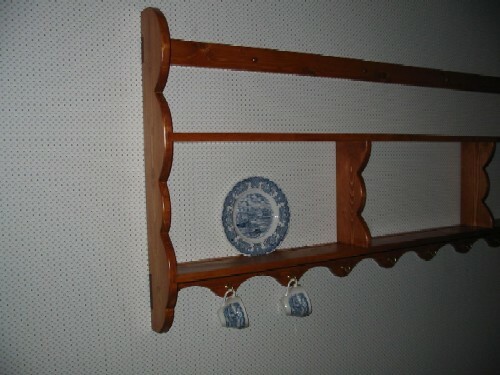 A mitten rack, again (allegedly) in the Shaker style. 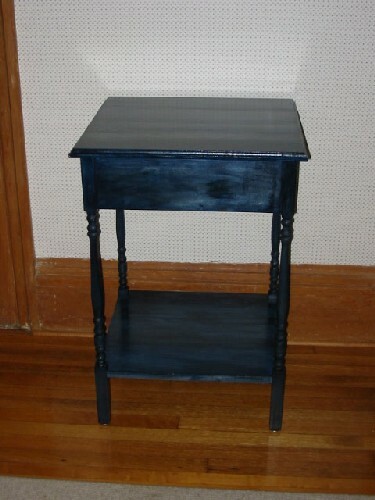 A poplar end table, with a midnight blue stain. 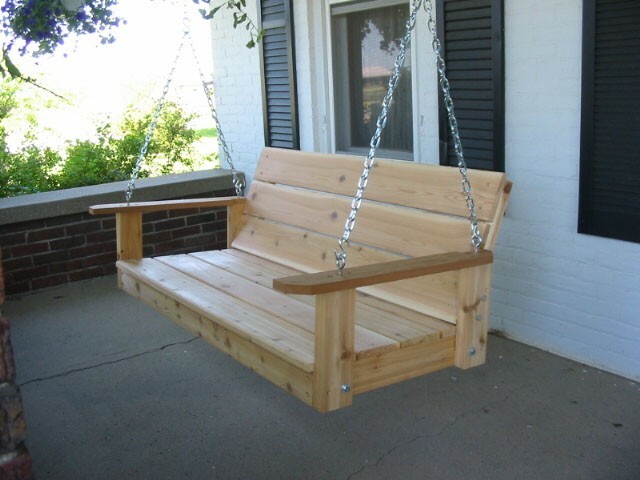 A (very comfortable) cedar garden bench. 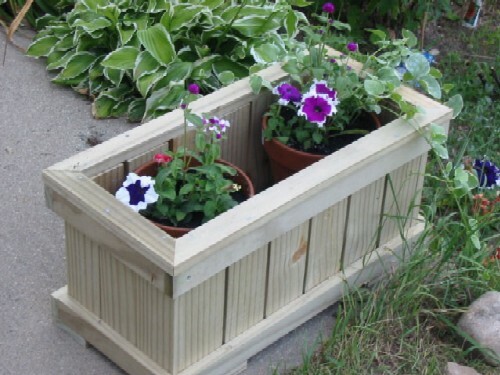 One of four matching planter boxes (made for the cost of one at retail). 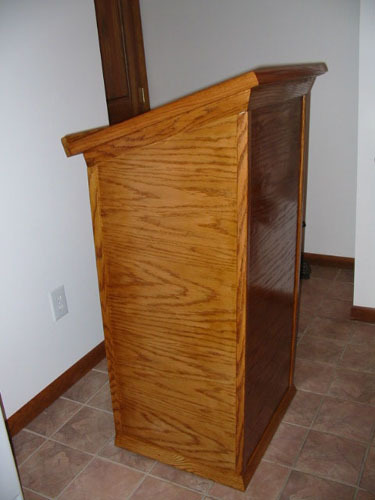 My first paid project- an oak podium! 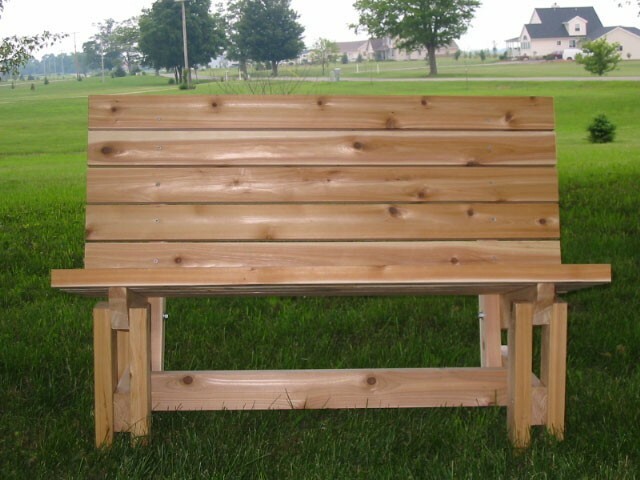 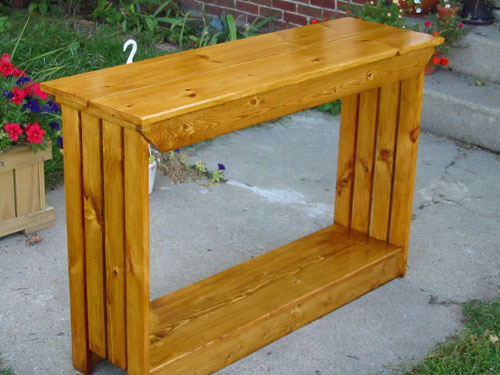 A Shaker-style bench, inspired by the one in the lobby of the Canterbury Shaker Village in New Hampshire. 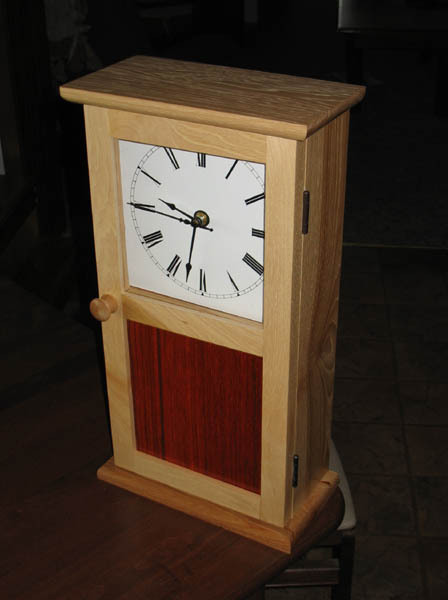 A cherry and maple clock. 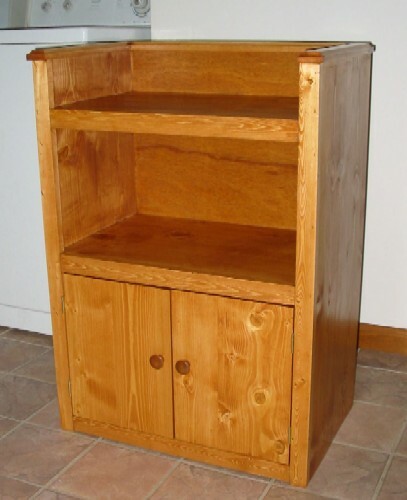 An oak medicine cabinet, with finger joints on the case and pinned through mortises on the face frame. 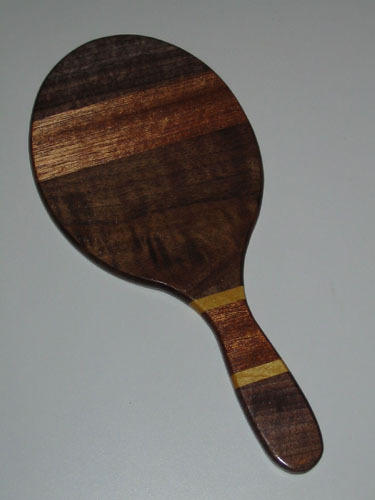 A mirror made from walnut, mahogany, and yellowheart (backside shown). 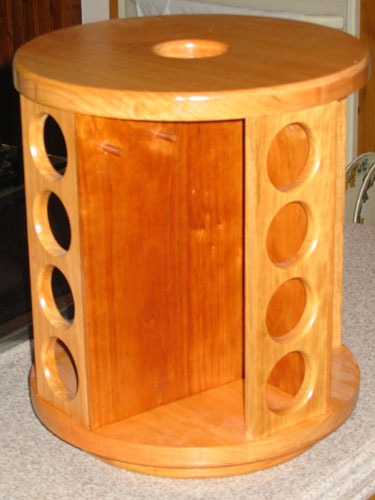 A set of maple coasters with inlaid cherry strips. 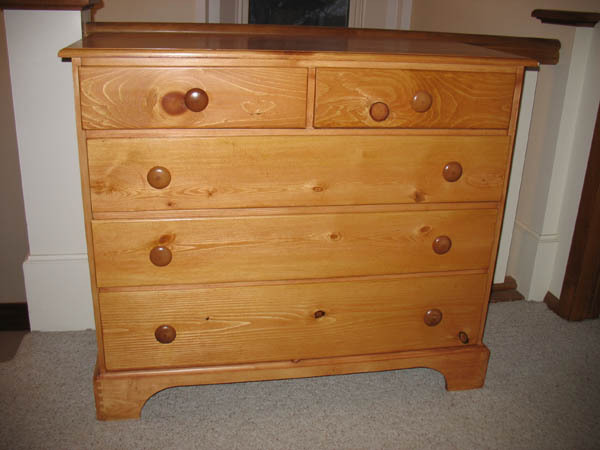 A cherry jewelry chest with felt-lined drawers. 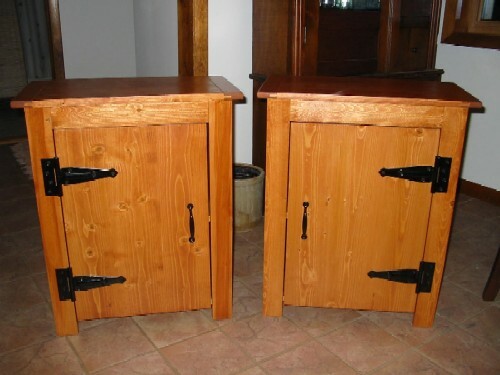 A set of rustic pine end tables. 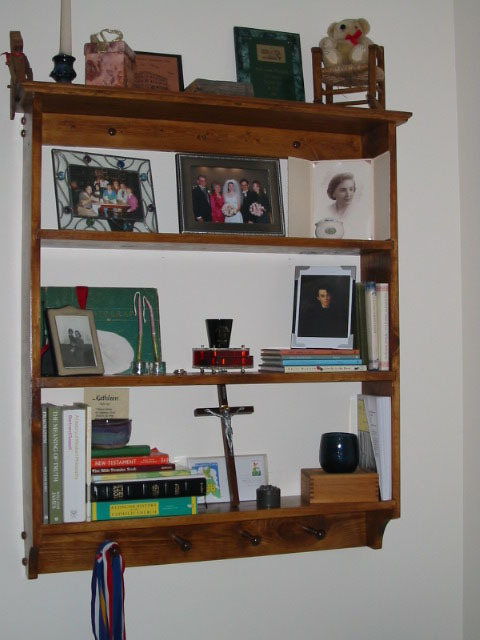 A country-style plate display shelf. 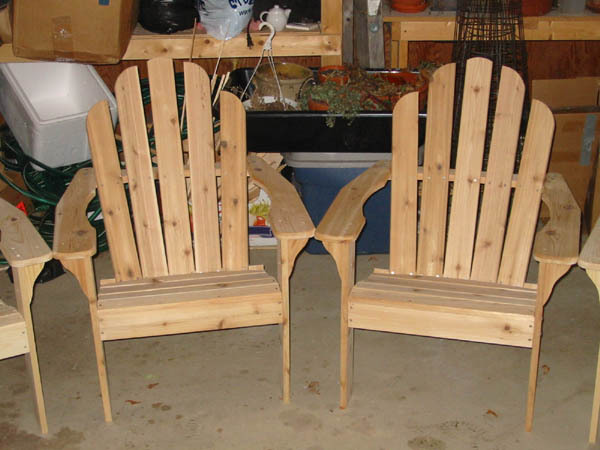 A set of pine and a set of cedar Adirondack chairs. 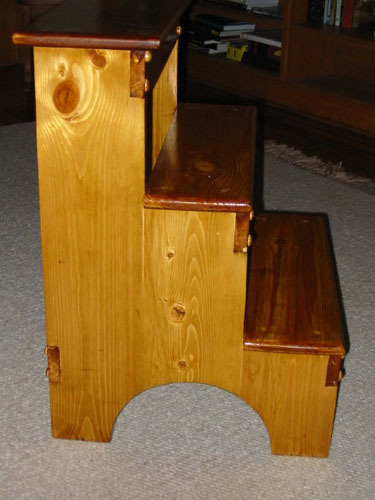 A country "tater & onion box," made out of a piece of birdseye-figured pine. 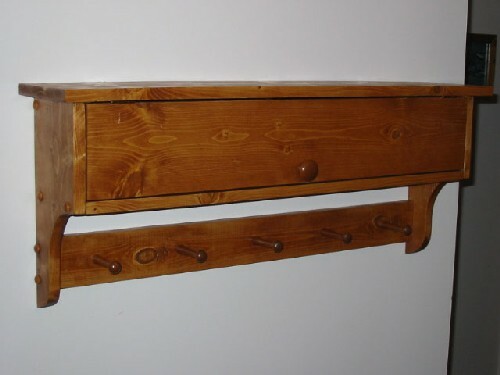 A Shaker-style chest of drawers. 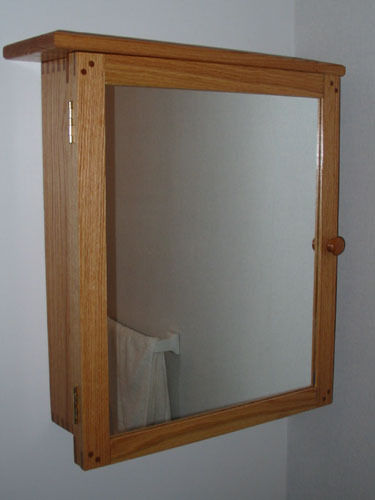 Two mirrors- same design, different finish. 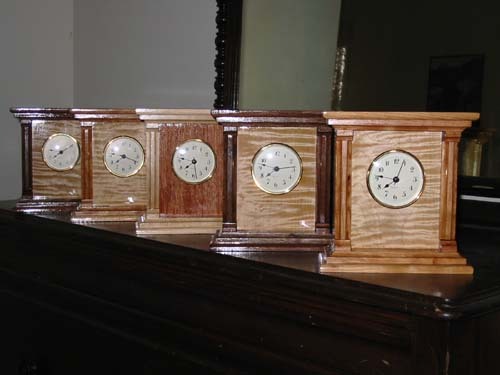 A Shaker-inspired clock, made from hickory and padauk. 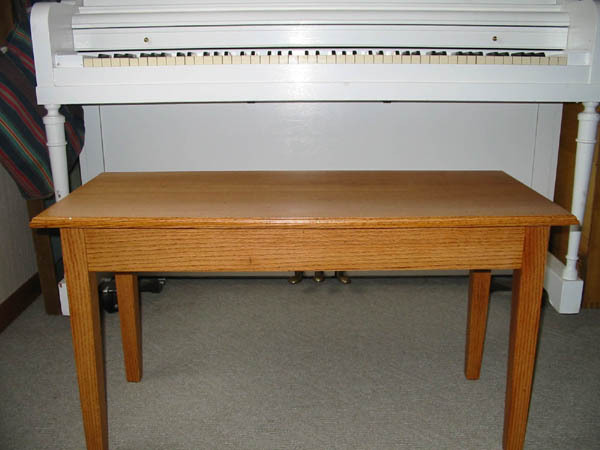 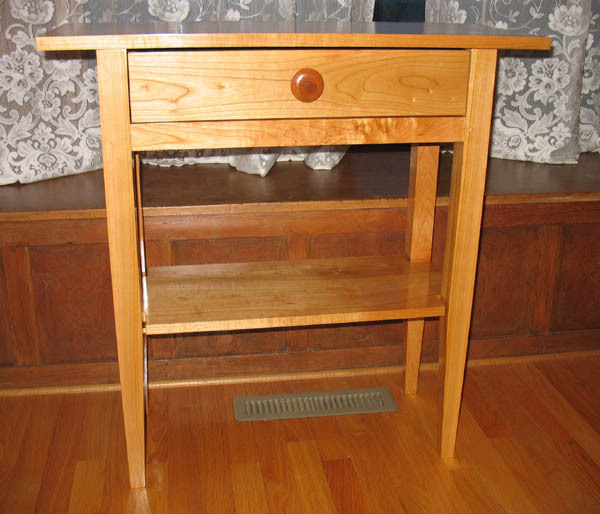 A Shaker-style valet table, made from figured cherry. 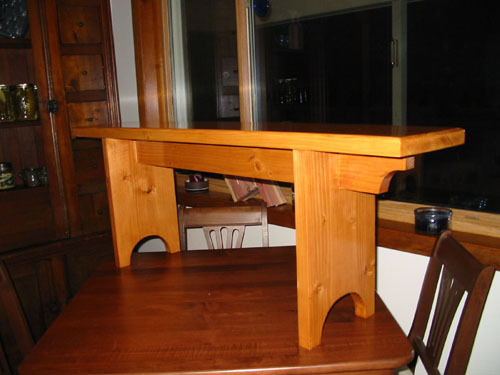 The same style table, made from white oak with a mission finish. 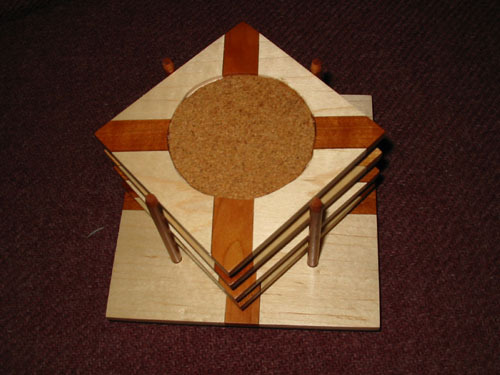 The Homepage of James C. Knapp, Jr./ jimknapp@umich.edu/ Last modified 18 May 2011.